A deeply tranquil soundspace created by Tibetan bowls, cello, guitars, and water gongs. 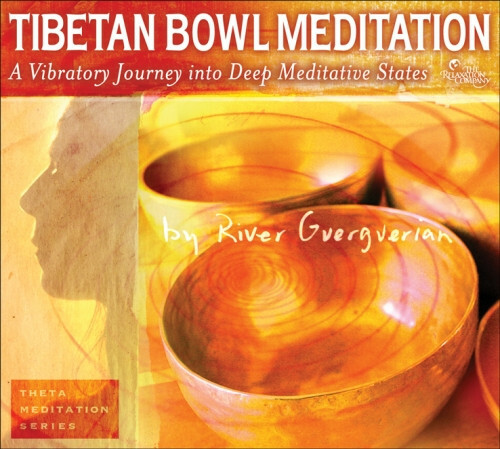 On Tibetan Bowl Meditation, River draws on his years of experience to create a powerfully meditative and deeply tranquil soundspace. The resonant tones of Tibetan bowls, acoustic bass, cello, electric guitar, and water gongs will lead your mind and body to deep inner calm as the layers of your consciousness slowly unfold. River Guerguerian is an award-winning multi-percussionist and composer who can be heard on over 100 albums and film soundtracks. He has performed and recorded with groups such as the Paul Winter Consort, Chuck Berry, Sophie B. Hawkins, The Tibetan Singing Bowl Ensemble, the BBC Symphony Orchestra, Lionel Hampton, The Gipsy Kings, and Ziggy Marley.